Uncle Dave Cameron, our esteemed PM, has been talking about the ‘Big Society’ ever since he moved into the seat of power and about how we need to get together to help each other by volunteering in various capacities. Helping out as a volunteer at a lock during a busy time, like this Assocation of Dunkirk Little Ships outing at Molese Lock, can be a very satisfying experience. He said this like it was a startlingly new idea and one that was going to revolutionise the UK. I daresay a lot of people before me have already pointed out to him that, actually, we’ve had his ‘Big Society’ for decades if not for hundreds of years. Britain has always been blessed by thousands of people who give up their time and their energy to help others – it’s part of what makes this country great, in my opinion, and we’ve never needed politicians to tell us it’s what we need to do. Alongside the fantastic people who give up their time to care for relatives and friends who are sick; to raise money for national charities like Cancer Research, the British Heart Foundation, the NSPCC, RSPCA, OXFAM, etc; to work for organisations like the St John Ambulance and the Red Cross, the increasingly bleak financial situation has put huge pressure on those who look after the Thames – the lock keepers and boatmen of the Environment Agency. So it’s no real surprise that the Agency has now joined the ranks of those organisations that are appealing for help from volunteers. They first invited volunteers to help provide the lock side service to boaters in 2011 and to carry out maintenance at lock sites. 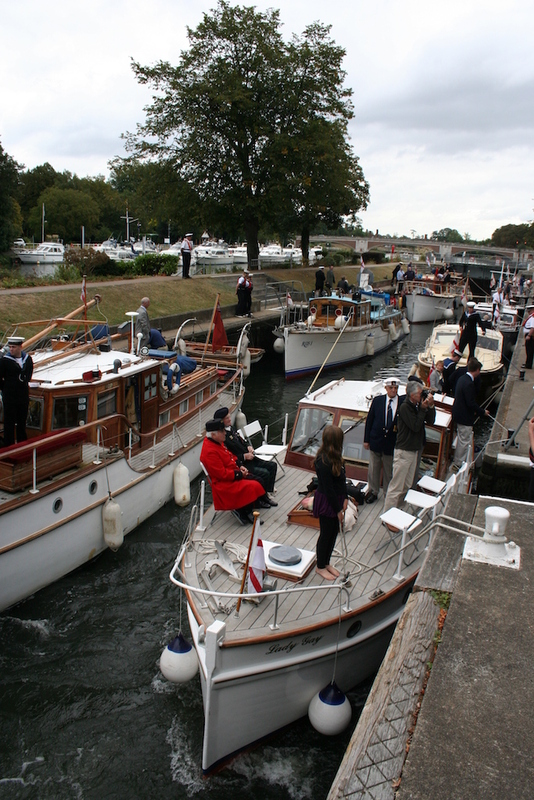 The EA says that during the course of the season, volunteers worked more than 1,000 days at locks up and down the non-tidal Thames. The Agency says: “The role that volunteers play is absolutely vital in helping us provide an unrivalled level of service on the River Thames. Unsurprisingly, these volunteers come from a very wide range of backgrounds – retired chief executives, former commercial airline pilots, ex-members of the armed forces, boat owners – in fact, from all walks of life. What they all have in common is a love for the River Thames, and the willingness to give up their spare time to help make your boating experience as enjoyable as possible. And they have a great deal of fun doing it. The Agency adds: “This year, as well as increasing the number of volunteer assistant lock keepers, we are recruiting volunteer boatmen – experienced helmsmen who can pilot our patrol launches for us. This will free up our own, warranted skippers to carry out more enforcement activity and bring more unregistered boaters and mooring over-stayers to book. It’s clear that with the financial squeeze being felt by the EA, volunteering on the Thames is definitely here to stay, and will play an even more important part in the Environment Agency’s management of the river into the future. If you’ve never considered volunteering before, why not think about it? Register your interest by email, and the EA will send you an information pack. Or speak to any of the lock keepers. The email address is thames.volunteers@environment-agency.gov.uk.